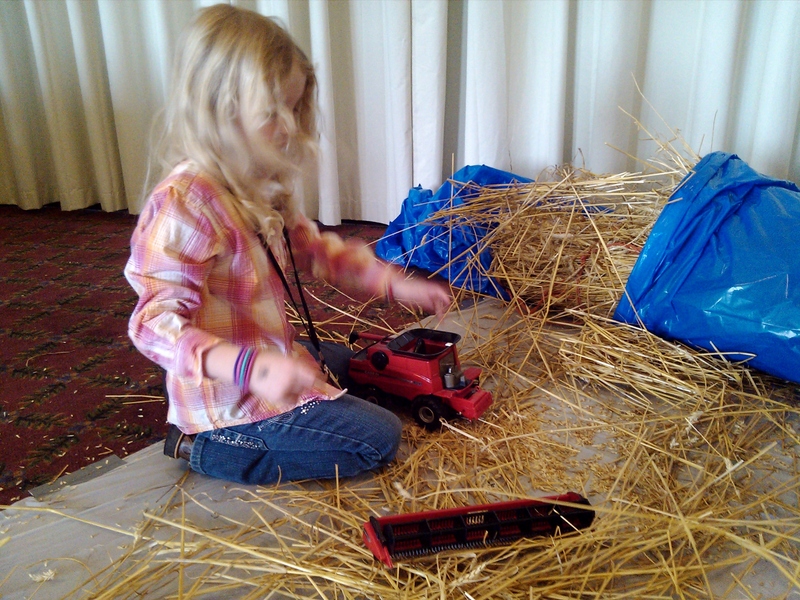 Our family recently returned from the Young Farmers and Ranchers conference and I have so much stuff I want to share! 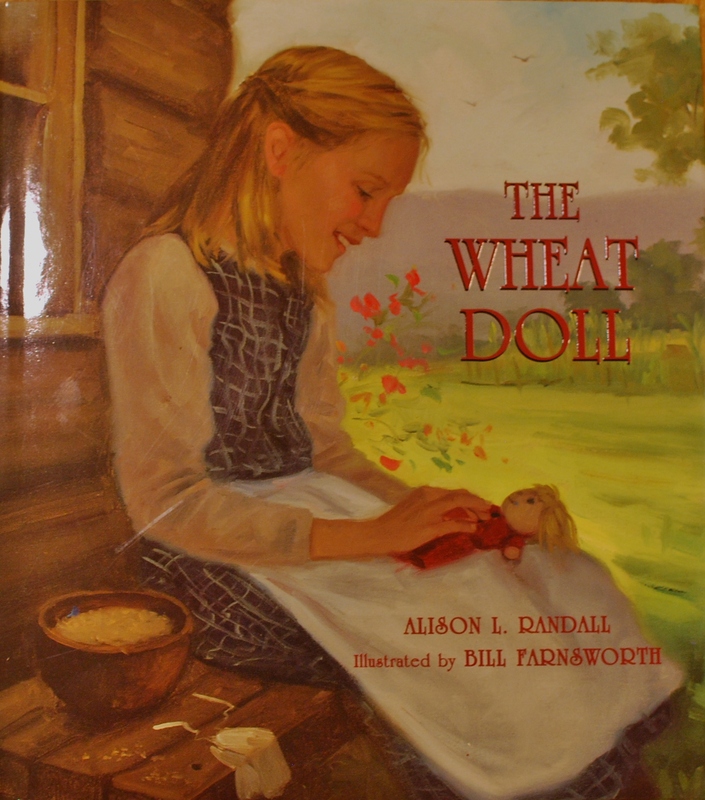 One of my favorites is this lesson plan based on the book “The Wheat Doll” by Alison L. Randall. 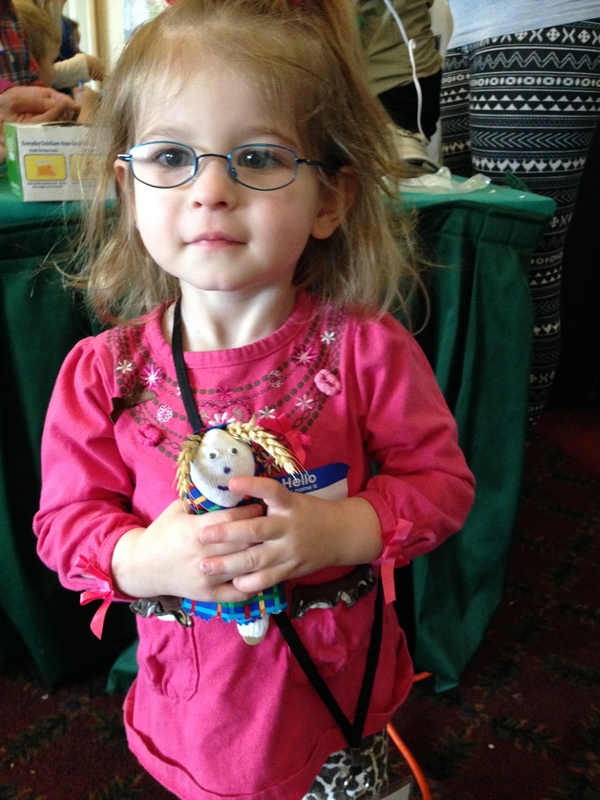 The story is about a little girl in prairie times who owns one special doll stuffed with wheat seeds. One day, while working in the garden, she sets her doll aside and must leave it when a sudden storm moves in. After the storm her doll is missing, but the next spring the little girl discovers a patch of wheat growing in the shape of a doll. She carefully tends the wheat and then harvests the seeds to make a beautiful, new doll. If you’re interested, this book is an AR Level 3.9 and a Reading Counts Level 3.2! 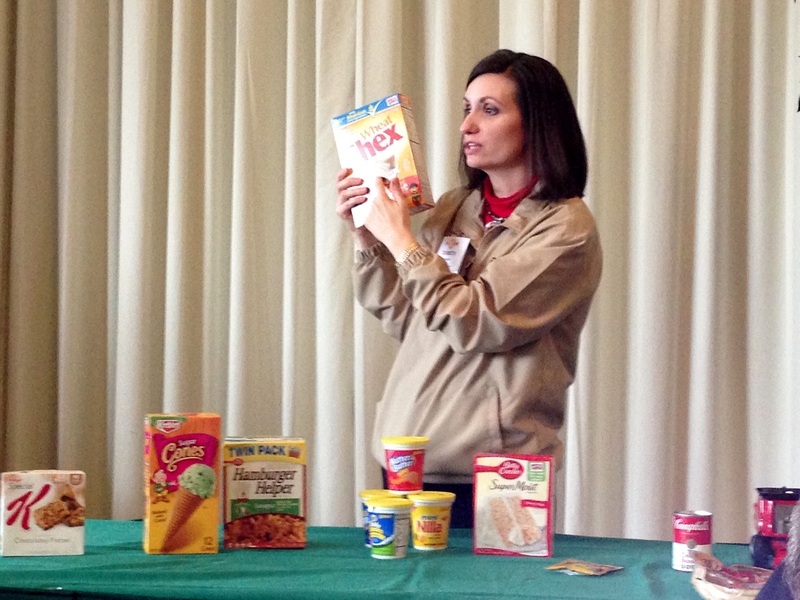 After reading the book aloud they showed the kids boxes of products that contain wheat. There were some basic foods, like cakes and pasta, but others were more surprising, like pet food! 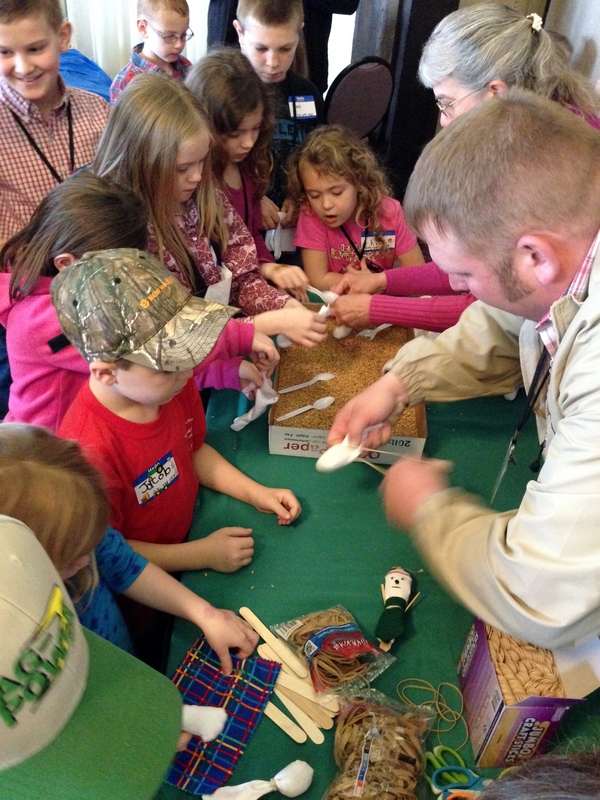 The kids also had the chance to hold real wheat stalks and try to harvest the seeds from them! It was lots of fun, and a huge, plastic sheet kept it from being too messy! 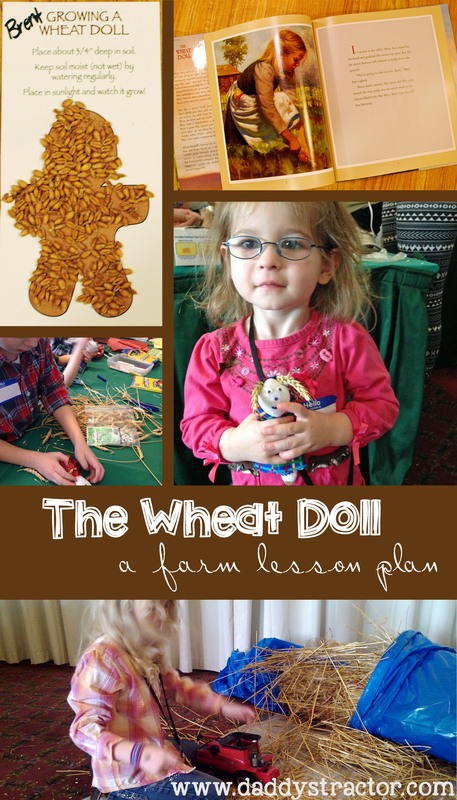 One of the most popular centers allowed the kiddos to make their own wheat doll or puppet. (Puppets in case the boys weren’t thrilled with dolls. My very male first-grade son didn’t care all, however. He just wanted to make something!) They started by putting wheat seeds into an infant sock and rubber banding it to a jumbo craft stick. After that there were squares of fabric, markers, moveable eyes, bits of wheat stalk, and a hot glue gun (used by an adult!) to finish creating! 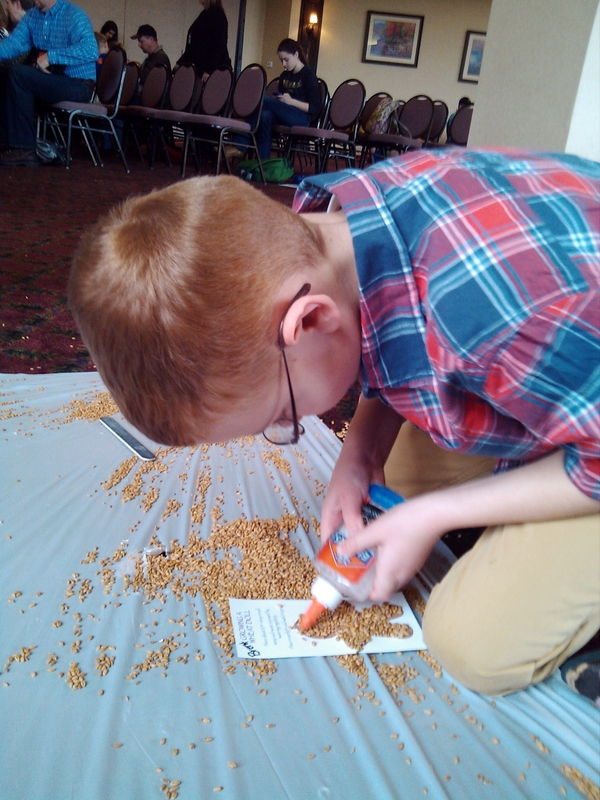 The activity my kids liked best was gluing wheat seeds on this printable card to create a doll shape. The card includes directions for planting and growing the seeds, so they can see their own doll grow! I’ll just add that using hot water really seems to help wheat jump out of the ground. Wheat grows great indoors, so you can do this any time of the year! This lesson plan sheet has lots of additional information, like a list of products made from wheat, how to thresh the wheat seeds, and a bit of background on wheat in the US. And thanks to the MFB Promotion and Education Committee– we had so much fun! Great Job! Thanks for multiplying our efforts. This is really awesome 🙂 �I love reading your posts! �My husband and I looking to getting into farming. �We both grew up on farms and our roots are calling us back. �Do you have any advice for me on getting started? �I can give you my number and we could talk on the phone, if you don’t mind. �Thanks again for blogging about your life.